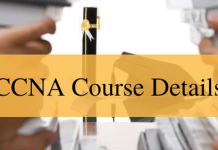 JAVA Course Details - Eligibility, Requirement, Duration, Course Fee, Syllabus, Classification and etc. 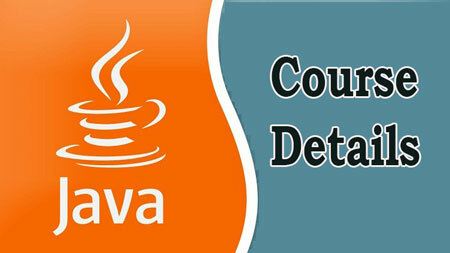 JAVA Course Details – Eligibility, Requirement, Duration, Course Fee, Syllabus, Classification and etc. Java is an object-oriented, platform-independent language. Java programming is now the most popular language in the world of information technology including Android-based mobile platform. 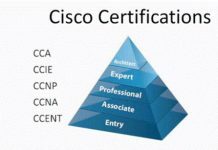 For seamless use of this programming language, proper Java programming training and certification is required for EC Council Training, Java EE training, Java SE training, etc. Here we have provided the complete information of Java Language like Course Details – Fee, Duration, and Salary & Job Options. This Article explains the JAVA Course Details of Course fee structure, Duration of the course, Java Certificate holder jobs and salaries. No particular eligibility is needed for this JAVA course. 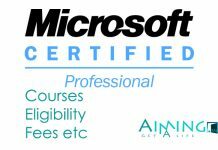 Students who are having good knowledge of Computers can do this course. And the candidates who are having a basic knowledge of C language and as well as C++ language can do this java course very easily. To learn this JAVA programming language it takes 4 months of duration. Fee Structure is varying between 2000 rupees to 5000 rupees. This is the normal fee structure and varies from institute to institute. Java developer salary is between Rs 320K and Rs 600K yearly but varies from company to company with a different salary package. People in this job usually don’t have more than 10 years’ experience. But the salary package for experienced candidates is higher than freshers. Java was taken over by Oracle in 2010, so its certifications are now governed and provided by Oracle Inc.
Oracle Certified Associate (OCA): First level of certification indicating a good basic understanding of the language. Oracle Certified Professional (OCP): A benchmark for professionals in the field of Java programming. Oracle Certified Expert (OCE): A complete expert in Java programming and its architecture. Various Android Training and Certification courses are available to us for mobile Java programming. Professional Android Apps development, Android wearable, Android NDK, ATC Monetize Android application, etc. are some of the best Java programming training courses to become professional Java developer. These courses and certifications are authorized by Android, so these are valid all over the globe. As we know that this JAVA Course is most reputed and popular course and this JAVA programming language is trusted all over the world. Many numbers of students opt for this course. JAVA Course owns first priority in the market. Though there is an increase in usage of mobile devices, the applicability of JAVA has been increasing rapidly. If you own the certification JAVA programming language anywhere the value certification increases. Java progress in different Java Platforms are like Java SE, Java EE, and Java for Android are already very popular. To Know More Refer this link Click Here. Above mentioned are the syllabus of JAVA Course details this may vary from institute to institute. Client-side Java development: This section of java is based on developing software and program modules that can run on the client side to support its daily operations. Server-side Java development: This section of java is based on developing codes that can enable others to access dedicated servers designed to perform specific tasks. Mobile Development: Java is actively implemented as a standard language for developing mobile operating systems and applications. Machine learning through Java: Recent advancement in Java is in the direction of Machine learning which has helped in building and supporting several electronic devices ranging from Space shuttles to CT scan machines. All the above details above furnished are very much use full for the students or candidates who are showcasing their interest in learning this particular JAVA Course. Follow the JAVA Course Details mentioned above and get an idea join and get into the software field.